Data centers should look good. Here are ten of the best-looking data centers we know about. The DCD team have been searching for beauty. In the last issue of our magazine, we let you know what we found - and you can also check them out below. Update: To take part in the World’s Most Beautiful Data Center Award, go here. Voting will open from October 20 until November 27! All of Switch’s data centers have a trademark exterior and interior style based on patented power and cooling systems. 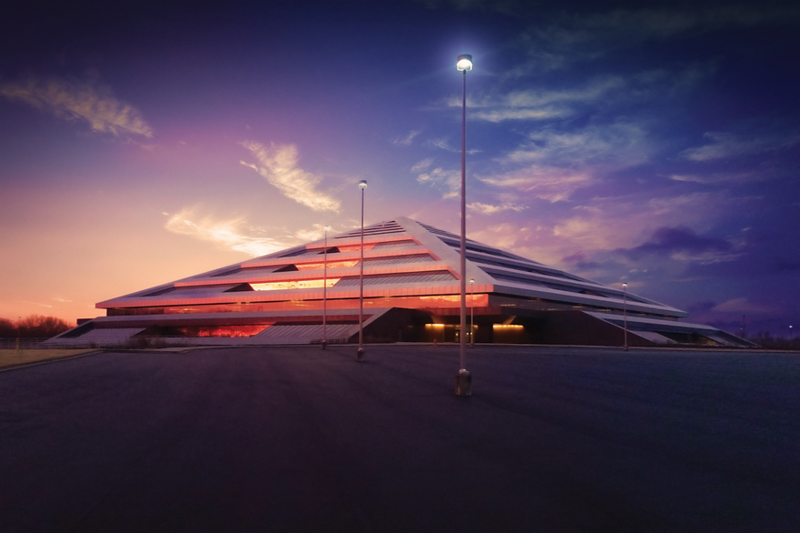 The Pyramid site near Grand Rapids also includes an adaptive reuse of an iconic building. The seven-story steel-and-glass structure was originally created by Steelcase as a design center. Switch has opened a 225,000 sq ft (21,000 sq m) data center built into the lower two floors. With other buildings alongside, Switch will create a campus wih up to 320MW of renewable energy, 1.8 million sq ft (170,000 sq m) of data center space, and 435,000 sq ft (40,000 sq m) of disaster recovery office space. 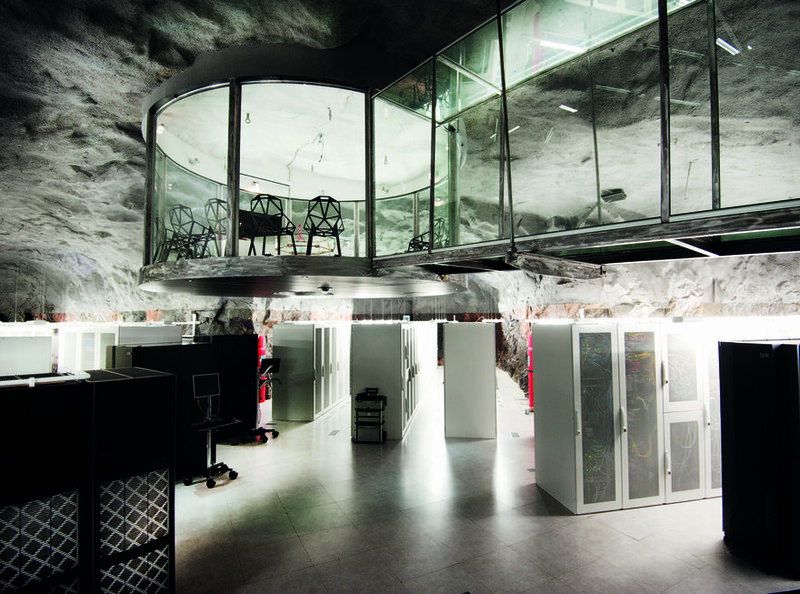 Bahnhof’s data center in Stockholm pioneered the creative data center movement, when it opened in 2008 in a former nuclear bunker. Pionen’s design is consciously based on a James Bond bad guy’s crib, and makes several references to the 1970s movie Silent Running. Built by Jon Karlung and briefly the home of Wikileaks, it has backup power from diesel engines designed for submarines, and features waterfalls, a salt-water fishtank, and plants growing under simulated daylight. Opened back in 2005, the Barcelona Supercomputing Center is built in a former 19th century church. The Torre Girona was rebuilt after the Spanish Civil War and is now part of the campus of the Polytechnic University of Catalonia. Now it holds the MareNostrum supercomputer, a joint venture built by IBM and the Spanish government. For a time it was one of the world’s fastest machines. It may not hold that claim anymore, but it’s still one of the best looking. 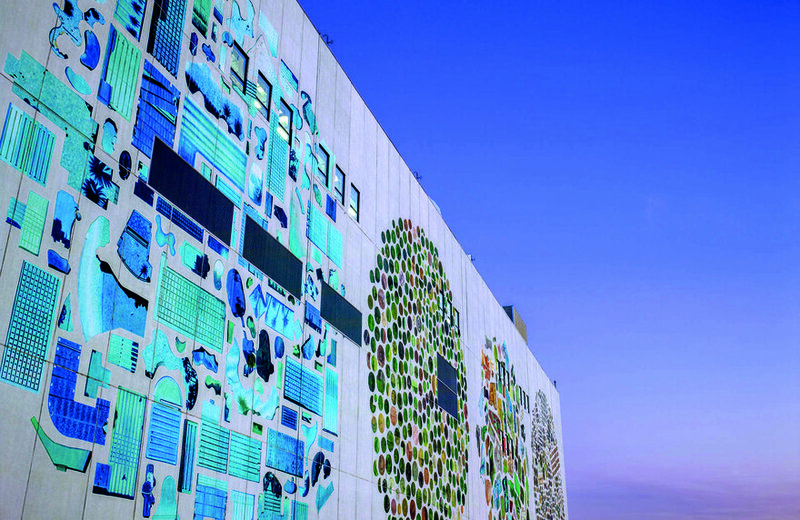 In Google’s Data Center Mural project, launched in 2016, murals represent data center activity on their outside walls. In Oklahoma, artist Jenny Odell found man-made features in Google Maps’ satellite images, gathering views of swimming pools, circular farms, water treatment plants and salt ponds. Working from giant cradles, 15 painters used 400 colors, transferring the images to the wall using a chalk tracing technique similar to that used by Michelangelo in painting the ceiling of the Sistine Chapel in Rome. 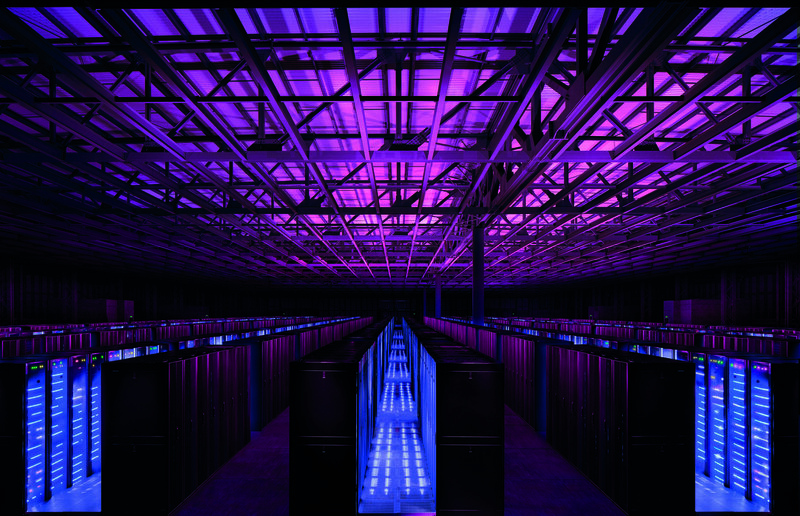 Naver, Korea’s leading web portal, has a data center at the foot of Mount Gubong in Chuncheon, Gangwon Province, which stores its customers’ online content. It’s called Gak, after Janggyeonggak at the Haeinsa Temple which has preserved some 80,000 woodblocks containing Buddhist historical records. The name was chosen to inherit the spirit of protecting important records, a Naver spokesperson explained to DCD. The building incorporates traditional design elements, as well as cutting-edge environmental techniques such as reuse and recycling of rainwater. 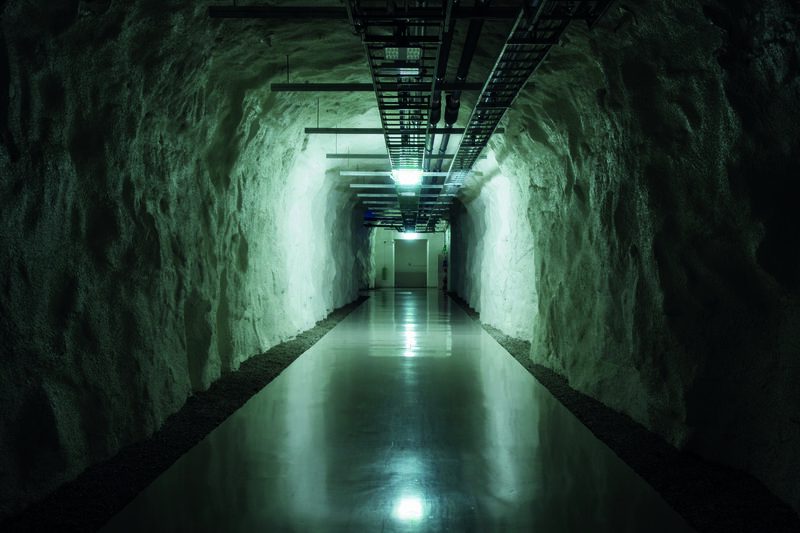 A retired NATO ammunition store at Stavanger was reimagined as a 146,000 sq ft (13,600 sq m) data center by Green Mountain. The Tier III reliable underground site is inside the mountain, leaving the landscape unspoilt. The site has abundant green energy from two hydroelectric sources. Year-round cold water at 8°C (46°F) from the fjord below cools the servers, using a duplicated circulating system for reliability. The site also has a strong aesthetic. Inside, tunnels are carved from solid rock, and outside is a green and peaceful mountainscape, above the fjord. NGD’s Newport data center was opened in 2010 in former LG semi-conductor plant, a property that had stood vacant for more than a decade. The data center space has been expanded repeatedly within the building. All the power needs are supplied by the nearby Dinorwig hydroelectric facility. 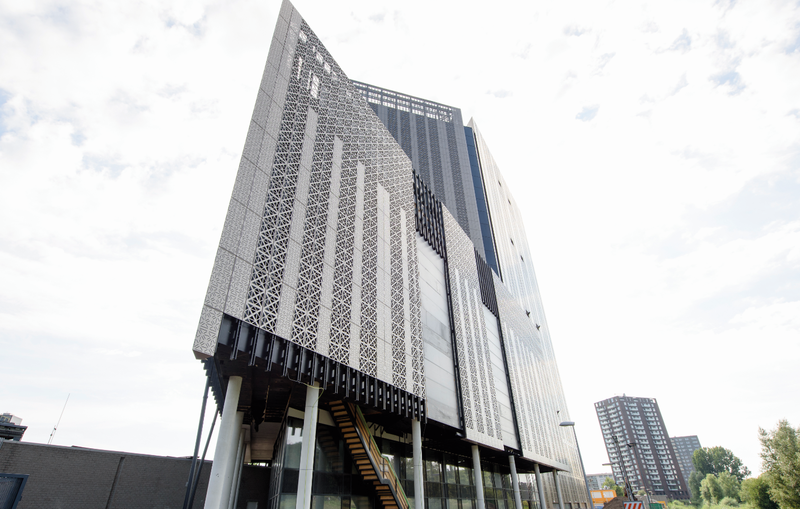 Digital Realty took over Telecity’s AMS 1 shortly after it was completed in 2016, opening it as the Amsterdam Data Tower. The 72m-tall building has 5,000 sq m (54,000 sq ft) of data space on 13 floors, and 9MW of power. The building uses outside air and groundwater for cooling, and also stores warm water underground. The building was designed by Rosbach Architects of the Netherlands. AQL built its headquarters in Salem Chapel, the only surviving 18th century dissenting chapel in Leeds, UK. Opened in 1791, with seating for 1,000 people, the chapel closed after more than 200 years in 2001. AQL turned the ground floor of the chapel into colocation data center space with a glass roof. 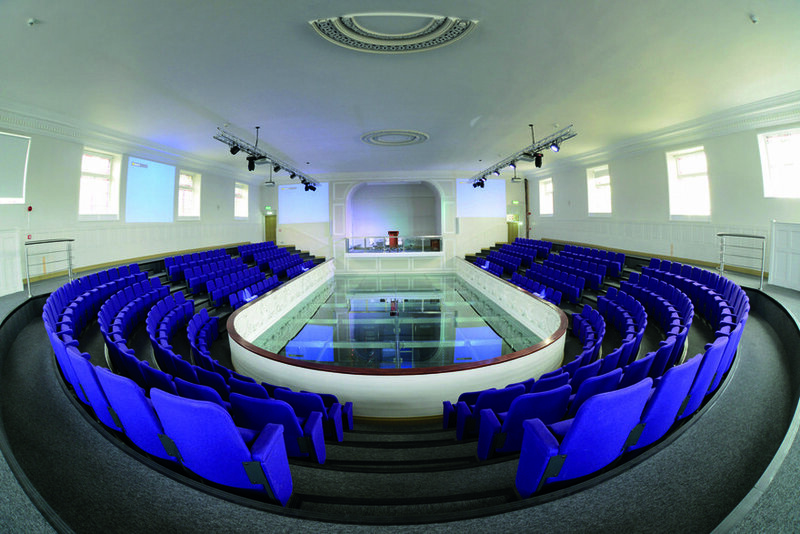 Above that, the chapel’s balcony was refurbished as a conference auditorium. The British government launched its “Northern Powerhouse” program there in 2016, but for most people, it is better known as the place where Leeds United football team was founded. 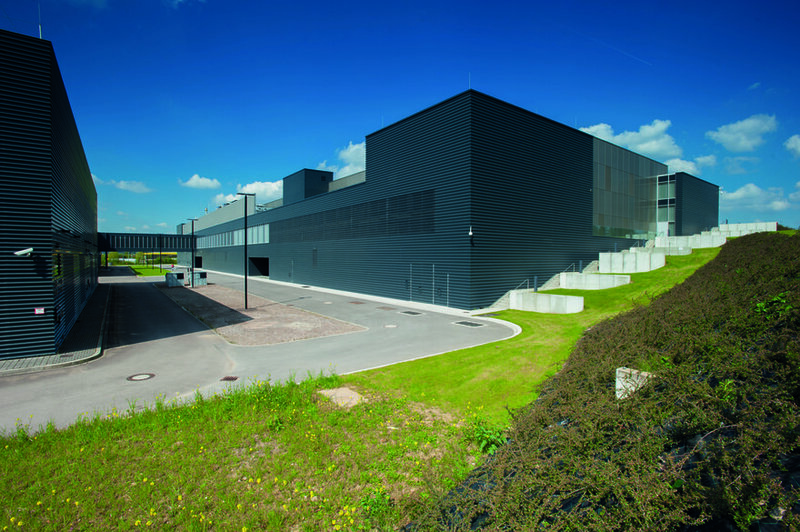 Luxembourg is a popular location for reliable data centers. LuxConnect’s DC2 has multiple Uptime certificates giving users the option of Tier II, Tier III or Tier IV reliability. 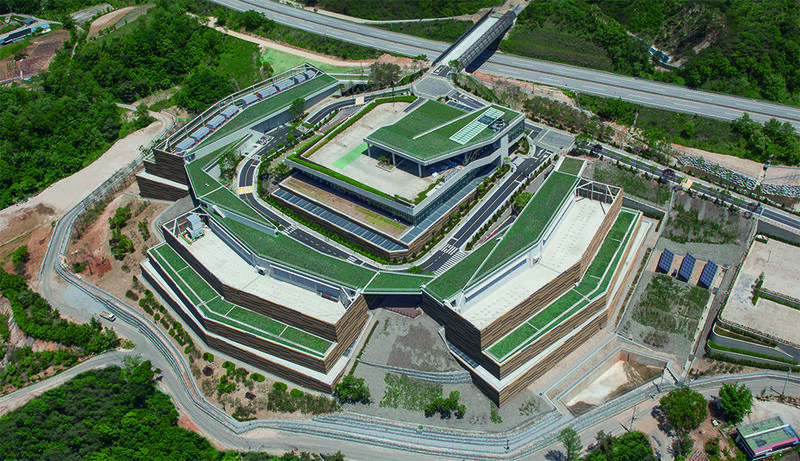 The 51,600 sq ft (4,800 sq m) building uses free cooling, and has access to all-renewable power. The building has steel mesh walls which double as a Faraday cage for security, and a grassed roof to reduce environmental impact.